I have never seen a real 500 euro note, But now I at least know how to recognize one thanks to Marcello. I wish Marcello could draw muscles on me like this. He is really skillful in his drawings and shows an amazing way of detail. I always keep breaking my Sunglasses, Wish Marcello was able to make me some new ones like he made this drawing. Marcello has an amazing skill for detail. 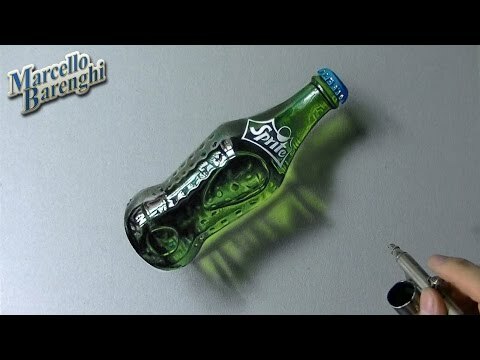 This Sprite bottle shows that off in a great way. I hope you loved the Hunger Games movies. 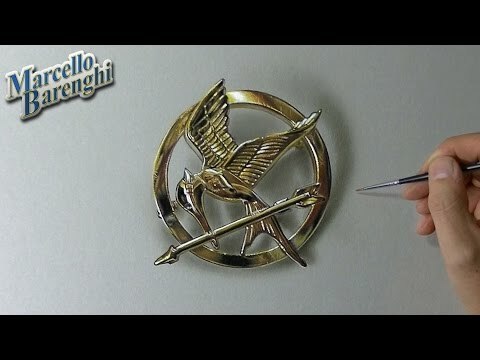 Marcello is showing the amazing amount of detail that went in the Mockingjay pin. Marcello is back with his really realistic drawings. 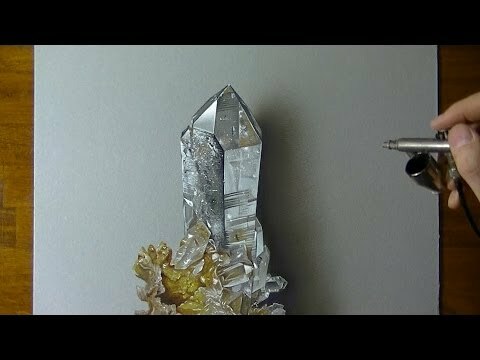 This time he creates a gorgeous glass laying on a piece of paper. 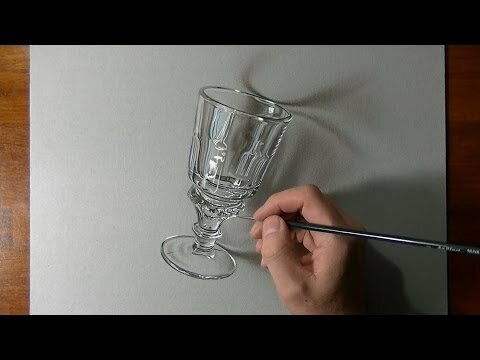 The glass looks real because of all the details Marcello puts in it. If you like comic books than you will really enjoy the drawing of Marcello from this Spiderman comic. We have posted more of Marcello’s work but it always amazes us how much details he put in his drawings. I didn’t even know how Hyaline quartz looks like. Thanks to Marcello I now have a really good idea how it should look like. Marcello is really good in realistic drawings. 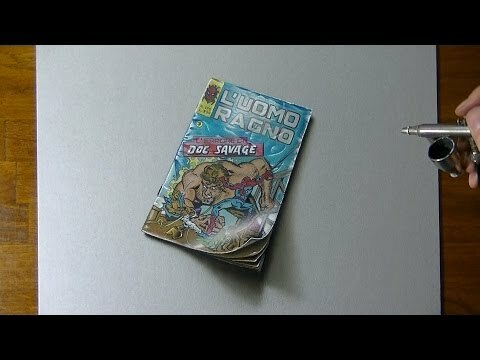 This time he draws a tablet lying on a German newspaper.